Ever been to a drinking water plant? Take a guided tour of a water treatment plant. Shows step-by-step how source water moves through the treatment and distribution processes and ends up in the customer’s home or business. 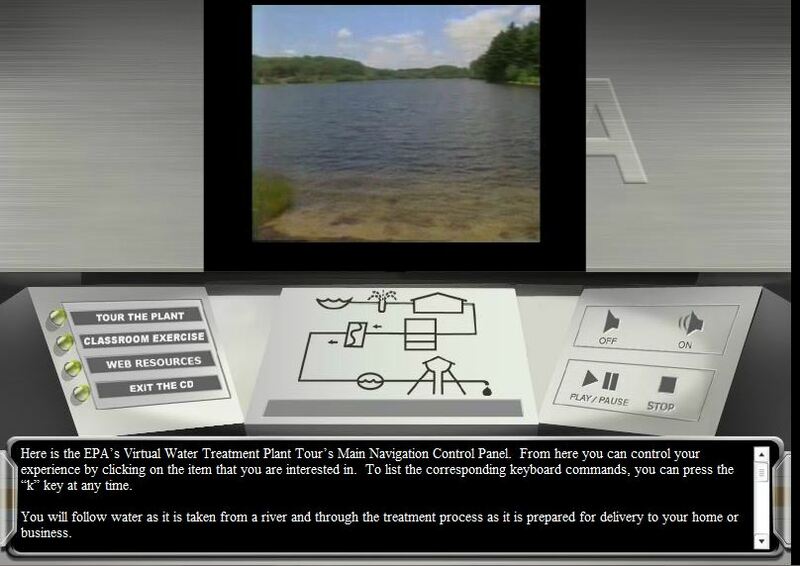 Take the Virtual Tour of a Drinking Water Treatment Plant (requires Adobe Flash). This video can be viewed in English and Spanish. Also contains lesson plans for teachers. Additional lesson plans for teachers may be found at Hot Topics – The Teacher’s Toolbox. This entry was posted in Everyone, Grade Level : Elementary School, Grade Level : Middle School, Grade Level: High School, Health and tagged Drinking water, environment, Sewage treatment, Water, Water Resources, Water treatment by Chris. Bookmark the permalink.